For the first time publicly, Ryan Sheehy will reveal how she overcame a lifelong battle with bipolar disorder. The accredited PR practitioner will debunk the infamous “perception is reality” mantra and discuss the dynamics that triggered the unraveling of her false self. Sheehy will reflect on how, in her most vulnerable state, she felt duped by society, dumbfounded by cultural norms and found a better way out. Claiming a demoralizing label that caused much pain, Sheehy will address how self-deception inspired the evolution of her personal brand. 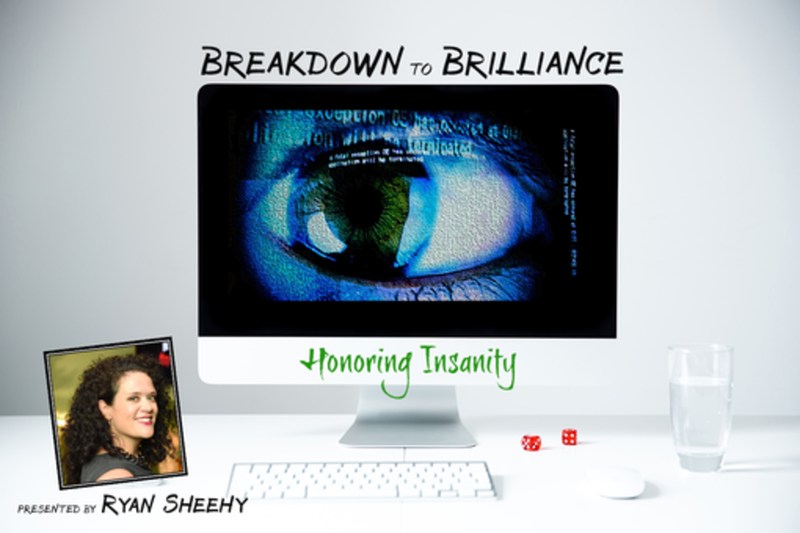 Knowing now that the experience is a beloved asset, Sheehy will encourage others to breakdown to brilliance and honor insanity for a greater good. As founder of the Austin-based public relations and social engagement firm, SHEEHY creative, Ryan Sheehy made it her company’s mission to change the narrative surrounding mental illness. Starting with SXSW Interactive, Sheehy plans to normalize discussion among professionals and rally support among business leaders. Sheehy launched her PR career in the theme park capital of the world, Orlando, Florida, and has more than 15 years experience representing companies like Broadway Across America and SeaWorld Parks & Entertainment. Her ingenuity was formed by promoting brands that enliven its guests and inspire positive environmental change. For nearly a decade, Sheehy made her mark in the lives of college students and helped launch thousands of careers. From June 2013 to May 2015, she was an adjunct lecturer at Texas State University School of Journalism and Mass Communication and taught digital media and public relations courses. At the University of Central Florida, Sheehy was an instrumental force in transforming the Advertising & Public Relations undergraduate program from 2006 to 2012. Sheehy is active in the Public Relations Society of America Austin chapter and leads candidates through the accreditation in public relations process. With mentors who range from Broadway presenters to internationally known scholars, Sheehy’s professional standards were established by learning from the very best. She holds a Masters of Arts in Corporate Communication & Technology from Rollins College and a Bachelor of Arts in Advertising & Public Relations from the University of Central Florida. Just like the size of her hair, her vision and ideas are larger than life. Sheehy’s approach to a challenge or opportunity is unconventional. She is both a dreamer and a doer with tried-and-true evidence of success.